A public Festival of Falconry will take place in Khalifa Park, Abu Dhabi, 8 & 9 December 2017, which is free and open to all. Passage Falcons are wild falcons trapped during migration, and trained for falconry. This workshop will cover the history of trapping passage falcons and the role they play in modern falconry around the world. In what way is falconry with a passage falcon unique? Which training methods are most successful with passage falcons? Which equipment is suitable for which raptor? What is the most suitable and permissible conditions for housing raptors in captivity? What are the differences between the requirements of a breeding falcon and a hunting falcon? This workshop will focus on the best practices from the latest research, experts and falconers. What is the best food for which raptor? Can we feed day old chicks to birds of prey? Who can’t eat rabbit and why? This workshop bring together the latest and best available research and data from veterinarian experts and falconers. Shawn Hayes from the US and Matt Gage from the UK will team up to discuss and share knowledge, thoughts and experiences of training and hunting falcons for waiting-on flights at wild game. Shawn and Matt met many years ago through the IAF, and always have plenty to say to each other about most aspects of falconry. We would like to lead some lively discussions that focus around game hawking, and achieving the perfect waiting-on flight, whatever that might be for you. Shawn has over 30 years experience in falconry, training and hunting both wild-taken and captive-raised falcons including prairies, peregrines, gyrs, and gyr-peregrine hybrids. He is an experienced game hawker, hunting many species of both upland game and waterfowl, including the elusive and challenging greater prairie chicken, pintail duck, and wigeon. Shawn resides in the western US and travels the US and the world to experience pursuit of wild game with hawks, falcons and eagles. He is a well-known falconer who plays a major role in the promotion of falconry around the world. As an ambassador for the IAF, he plays an important role in promoting falconry across a huge diversity of cultures and ages. He will explain the methods he has learned and uses to train different species of falcons to help others become better falconers and game hawkers. Matt has spent many years chasing the perfect waiting-on flight at game with peregrine falcons over pointing dogs. He flies at both lowland and upland game, with red grouse in wild places being a particular addiction. He is also a ‘backyard breeder’, and has tried to create high-mounting peregrine lines that can provide great game hawking partnerships. Matt lives in the UK, but has travelled widely to experience different forms of falconry. He serves on the IAF advisory committee, bringing his experience as a biologist to IAF within the important remits of science and conservation. Falco species and sexes for game hawking (pure or hybrid)? Hacked, chamber-raised or imprint – or a combination? 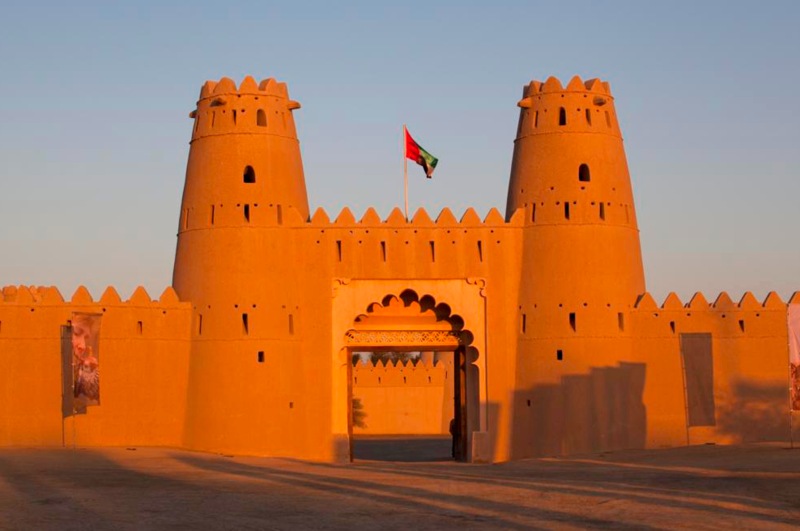 Get your sandals on and leave the School gates to experience what it is like to track a falcon in the desert. See how different transmitters are used and what is the best technique to locate the bird in the desert. The robara competition, originally proposed in 2015, will no longer take place this year. It is considered inconsistent with the spirit of the festival and its theme of traditional hunting falconry. Instead there will be a demonstration of a remote controlled lure. Flying a remote-control lure is fun, but it takes time and practice to learn how to do it safely. This workshop will take you to the desert where you will be introduced to different remote-control lures and flying techniques. There are as many lure techniques as there are falconers. Come and learn the Arab style of lure swinging, right outside the School walls, with sand and space around you. Practise your moves and get better throughout the day. How do Arab falconers and hunters track quarry in the desert? Finding tracks requires patience and knowledge, but also a bit of luck. There are tracks in the sand, but which animal left them? Hunting trips will be organised twice a day to let you experience authentic Arab-style falconry from camel and on foot. Learn about falconers’ role in the worldwide efforts to restore biodiversity and restore quarry and its habitat. In Europe falconers are actively restoring populations of grey partridge, while in the UAE, the International Fund for Houbara Conservation breeds and releases thousands of houbara bustards every year to revive their population in the Middle East and beyond. What do all these projects have in common? Why and how do falconers conserve their quarry? Matt Gage from the UK and Shawn Hayes from the US will team up to discuss and share knowledge, thoughts and experiences of the use of hybrids and exotics in falconry. Shawn and Matt met many years ago through the IAF, and always have plenty to say to each other about most aspects of falconry, including the sometimes controversial issue of the use of hybrids and exotics in modern falconry. We would like to lead some lively discussions that focus around the responsible use of hybrids and exotics in falconry, and their risks to wild ecosystems. Matt has spent many years at the centre of debates both inside and outside of falconry concerning hybrids and exotics. Experiences from his own research into equivalent problems (on a much bigger scale) arising from aquaculture have helped to create an objective and evidence-based position here. He has collated evidence on the risks of invasion and introgression by hybrids and exotics from falconry, and he helped to draft the IAF Position Statement on their use in falconry. He has defended the breeding and use of hybrids and exotics by falconers, and recognizes their particular advantages, but believes that their use requires added falconer responsibility. Shawn has over 30 years experience in falconry, training and hunting both wild-taken and captive-raised falcons, including both pure species and hybrids. Shawn resides in the western US and travels the US and the world to experience pursuit of wild game with hawks, falcons and eagles, of both pure and hybrid forms. He is a well-known falconer who plays a major role in the promotion of falconry around the world and, like all good hunters, has a strong conservation ethic and love of wild places. As an ambassador for the IAF, he plays an important role in promoting falconry across a huge diversity of cultures and ages. He will explain his own views on hybrids and exotics, and their roles in modern falconry. What is a hybrid or exotic species in falconry? Why do falconers fly hybrid or exotic species? What is the history of hybrid or exotic use in falconry? What are the big conservation issues about non-indigenous species or hybrids? What are the risks to the natural environment of hybrids – and exotics? What are the threats to hybrids and exotics in falconry, and how has IAF defended their use? What is IAF’s position statement on hybrids and exotics? What is the evidence of hybrid or exotic invasion from falconry? What are the added responsibilities for falconers when breeding or flying hybrids or exotic species? What will we do if hybrids or exotics become banned? “CITES and Falconry: what is the link? Why is it important? The Convention on International Trade in Endangered Species of Wild Fauna and Flora (CITES) is a regulatory mechanism aimed at protecting species from unsustainable international trade practices that could threaten their survival in the wild. With almost 500 species of diurnal raptors listed under CITES, including all species commonly used for falconry, decisions taken under the framework of this Convention can impact the legal possibility to import/export/re-export species from wild origin of current/potential use for falconry and/or related activities (i.e. captive breeding). At the same time it contributes to strengthen conservation efforts and, if properly implemented, promote sustainable use and fair trade practices. Dr Ladislav Molnár is Head of the Avian Exotics and Wildlife Clinic at the University of Veterinary Medicine and Pharmacy in Košice, Slovakia, and is a practising falconer. He has worked extensively in the Gulf and is the Veterinary Specialist on the Advisory Committee of IAF. This workshop will focus on the latest research in the area of avian medicine disease and prevention. What equipment is suitable for which raptor? What are the most suitable conditions for housing raptors in captivity? What are the different requirements for breeding and hunting birds? This workshop will focus on best practice and recent research. The Abu Dhabi Falcon Hospital (ADFH) was the first public institution in the United Arab Emirates providing comprehensive veterinary healthcare services exclusively for falcons. It has emerged as one of the best-reputed falcon hospitals in the Gulf region, as the largest falcon hospital in the world, and as a leading centre for falcon medicine worldwide. Over the years, the ADFH has established a loyal and a wide patient-base not just in the UAE, but also in countries like Saudi Arabia, Qatar, Kuwait and Bahrain, with around 11,200 falcons received for examinations and treatment each year. ADFH will be running practical workshops on first aid in the hunting field; imping; husbandry; and rehabilitation. How can falconry techniques help injured birds of prey get better and return to the wild? Come and talk to professional rehabbers about their important work and learn what to do if you find an injured bird. What is the best food for which raptor? Should we feed day-old chicks to birds of prey? Who can’t eat rabbit, and why? This workshop will bring together the latest and best research and data from veterinary experts and falconers. The inscription of falconry on the UNESCO Intangible Cultural Heritage (ICH) list in 2010 has given falconers around the world a momentum and inspiration to revive and protect their art. Dr Awadh Al Saleh is advisor on Cultural Cooperation at the Abu Dhabi Tourism and Culture Authority, and acts as an attaché for requests by countries to join the falconry ICH inscription. In this discussion workshop he and Dr Straka will share their thoughts on the current state of the UNESCO list, and share advice for nations hoping to join it. 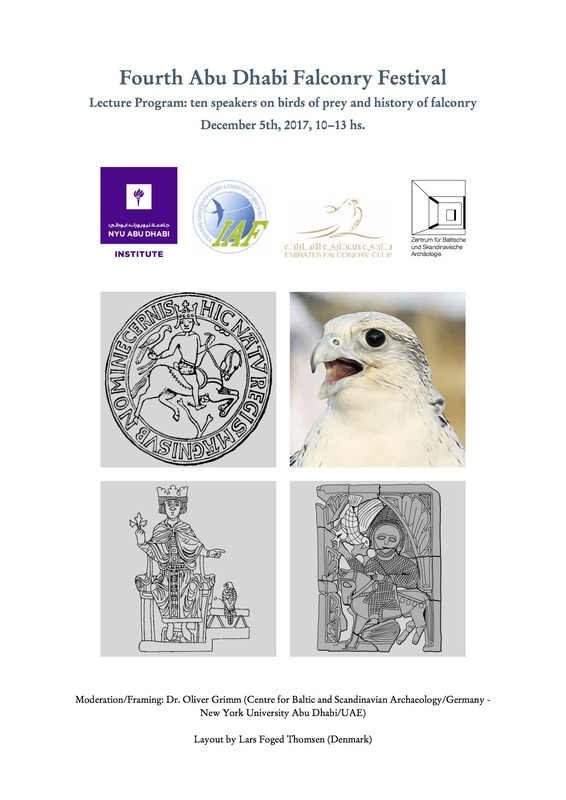 The Falconry Cultural Routes Project aims to connect and celebrate both the active living culture of falconry as well as its history both in Europe, and in the countries which border it, encircle the Mediterranean, and extend to the Gulf and beyond. “If you want to draw birds of prey well, then you need to learn more about falconry. Learning and practising falconry provides excellent opportunities for creating beautiful illustrations of different birds. I wrote and illustrated a comprehensive field guide to the birds of Mongolia, and am currently working on a guide book called ‘Falconry Species of the Western Palearctic’. Is there a book that inspired you to become a falconer? In this discussion workshop you will learn about different books and manuscripts that inspired falconers around the world. In this practical workshop you will learn how to use leather and turn it into beautiful and useful falconry gear. Learn to make a beautiful falcon hood in this practical workshop. Learn about the best tools and techniques from a professional hood-maker. Making a hood alone can take several days, and painting it will require further skill, time, and attention to detail. During this practical workshop you will learn how to work with leather and decorate it in different ways. “To capture beautiful moments you do not have to be a top photographer or have an expensive camera. Often these moments are unexpected and we do not have a camera at hand. Many of us own a mobile phone with a camera in it. These cameras have recently become better in quality. As a result, we are able to capture the beautiful moments of falconry with it. In this practical workshop you will learn techniques to paint and draw a still falcon. After studying ceramic art at the Ecole Nationale Supérieure des Arts Appliqués et Métiers d’Art, Laura decided to travel the world to become a falconer and a wildlife specialist. Her two-year journey took her to all corners of the world, where she met falconers and their birds, hunted with them, and learnt the ways of wildlife rehabilitation and education. Back home she decided to put her impressions onto paper, and started drawing animals and landscapes. Laura also sculpts totems and figures in clay, and has been exhibiting some of her ceramic works in Parisian galleries. For Laura, the only way to preservation is through education, and she is dedicating her life to this fight. She is currently working on her art to fund a further expedition, seeking more knowledge and encounters with the wild world she is so fascinated by. Ineke was introduced to the world of falconry when she started working for the Wingspan National Bird of Prey Centre and has never looked back. She loves nothing more than drawing wildlife, pets and of course birds of prey, and usually works with soft pastels. 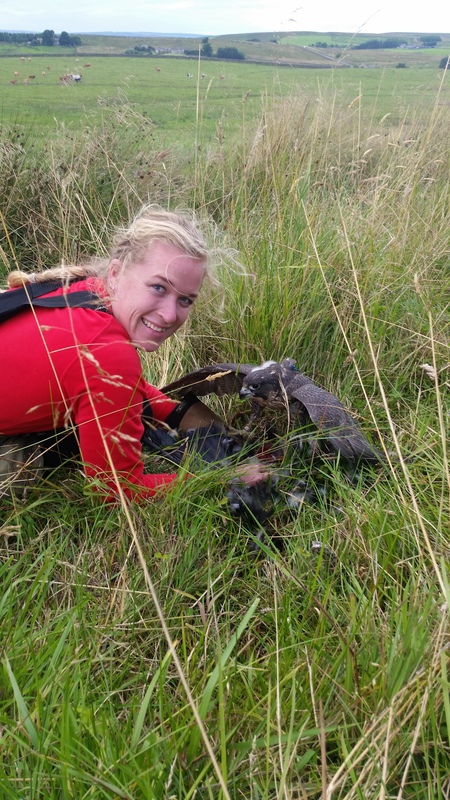 After 7 years of working with falcons and traveling Ineke now teaches secondary school science and biology, in the hope that others will be inspired by nature just as she is. The Desert Cinema will show films by Roger Upton and others. What is the state of falconry in the MENA region and what is its future? This workshop will discuss the latest concerns, achievements, and future priorities. This discussion workshop will cover all the latest achievements and priorities of falconers across Europe, falconers’ engagement in conservation efforts, and their future priorities. “I am 61 years old and originally from Brazil. When I was 18, I moved to Argentina to study, where I took Argentine citizenship. I am a full-time professor at the National University of Misiones. This workshop will conclude the desert festival, the part dedicated to the falconers themselves. Notes and strategies discussed in the other workshops will be brought together in this final session, which is dedicated to formulating a strategy for world falconry for the next 40 years. “How to make friends and influence enemies? With Youth being the theme this year, there will be special workshops led by representatives from falconry schools around the world, including Poland, Slovakia, South Africa, Spain, the UAE and Zimbabwe. Teachers and students will share their experiences during informal sessions and highlight some common aims and priorities for the future. The Mohamed Bin Zayed Falconry and Desert Physiognomy School has been established to pass on the principles and practice of Arabian falconry to the next generation, and promote its unique features and traditions to sustain this important aspect of cultural heritage in the United Arab Emirates. The school commemorates the achievements of the pioneering falconer the late Sheikh Zayed bin Sultan Al Nahyan and aims to raise awareness of national and international policies and legislation to ensure Arabian falconry is sustainable and preserved for future generations. The site of the school was selected for the beauty of the desert environment that surrounds it. The location allows students to learn falconry in the same desert environment where Bedouin have hunted for centuries, to develop an understanding of the ‘face of the desert’ (physiognomy) and recognize the plants and animals that live there. The architecture of the school is inspired by the beautiful design of Qasr Al Ain, where his Highness Sheikh Mohamed bin Zayed Al Nahyan was born and raised. 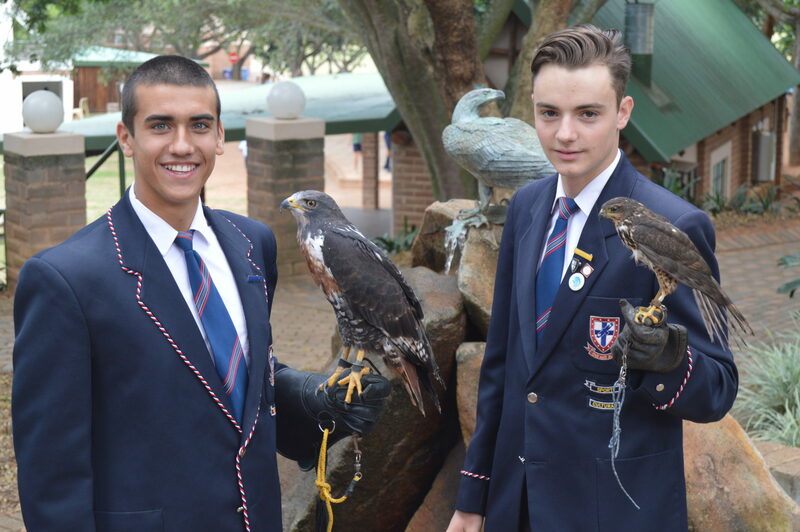 The school equips learners of all ages with the knowledge, skills and experiences they need to become practicing falconers. Students are taught the principles of Arabian falconry including species of falcons used, falcon training methods, hunting of traditional quarry, common falcon diseases and treatment, falcon nutrition, the biology of falcons and falconry equipment needed. The Mohamed bin Zayed Falconry and Desert Physiognomy School opened its doors to its first students on the 15 December 2016. Our weekend courses start as the hunting season begins and students can enroll in our four level curriculum for age groups 7-12 years old, 13-17 years old and adults. Local and international schools are encouraged to participate in our weekday or remote learning courses. Penryn College, in Mpumalanga Province, South Africa, has had a falconry club since 2001. At Penryn, an interest in hawking is a route towards learning not just practical falconry, but also ecology, sustainable use, and falconry heritage. Many pupils from the falconry club at Penryn have gone on to become zoologists, veterinarians and field guides. www.penryn.co.za. Falcon College is a secondary boarding school in Zimbabwe, southern Africa. 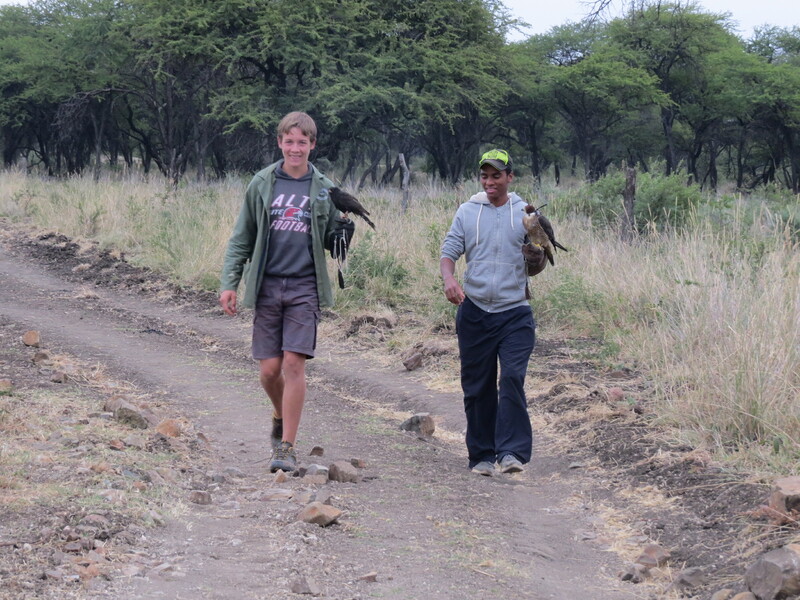 The College Falconry Club has 20 members, with 11 birds being flown, including a Martial Eagle. The Headmaster of the College has two breeding pairs of Peregrines and flies another Peregrine and a Black Sparrowhawk, while the Falconry Master flies two Peregrines and a Lanner Falcon. The current president of the International Association for Falconry, Dr Adrian Lombard, is a former student of Falcon College. www.falconcollege.com. 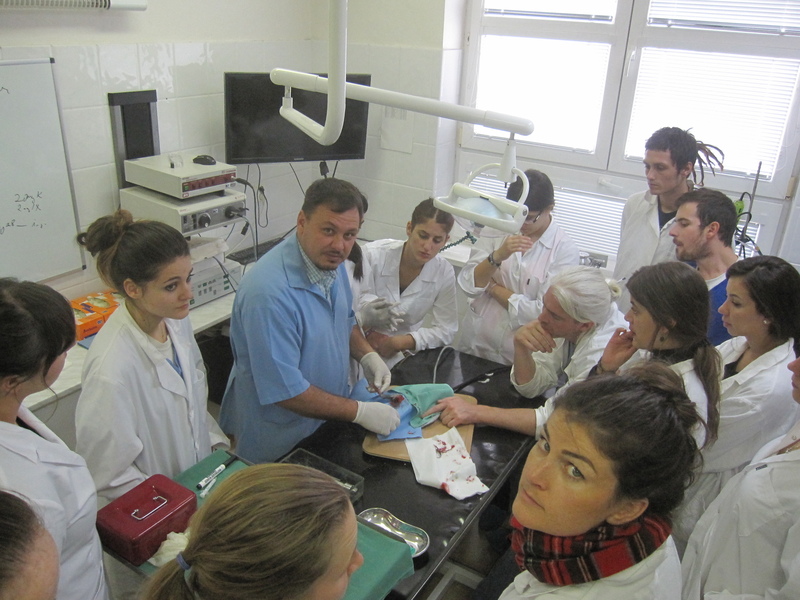 The University of Veterinary Medicine and Pharmacy in Košice is Slovakia’s sole veterinary university, offering EU-standard veterinary education in the English language. The university is known for the practical experience offered through its clinics, farm, wildlife facility and equestrian grounds. www.uvlf.sk. Every summer in Spain, Avium organizes the ADAJA Falconry Camp. 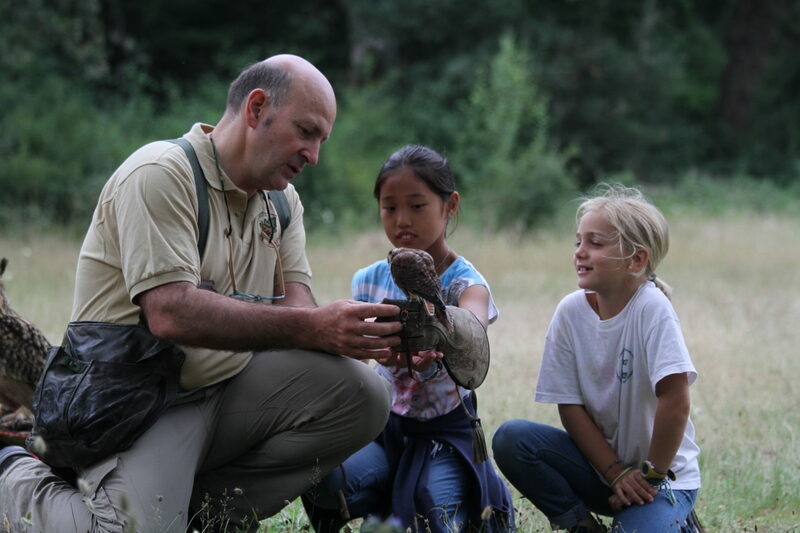 Children between seven and 15 years old live with a team of falconry birds and experienced falconers. For 15 days they share their passion for falconry following a complete program of activities. www.adaja.es. The Lecture Programme will take place on the 5th of December from 10 am to 1 pm at Al Ain Zoo at the Sheikh Zayed Desert Science Centre. 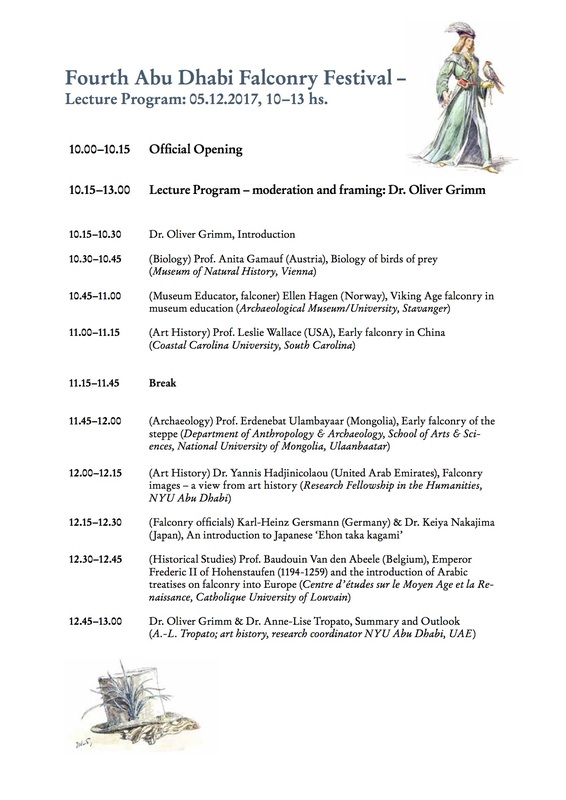 The programme is organised by the New York University Abu Dhabi (NYUAD) and Centre for Baltic and Scandinavian Archaeology, Germany. If you have been invited to attend the festival as a sponsored young falconer, or will be accompanying a sponsored youth, or will attend without sponsorship, you must register.